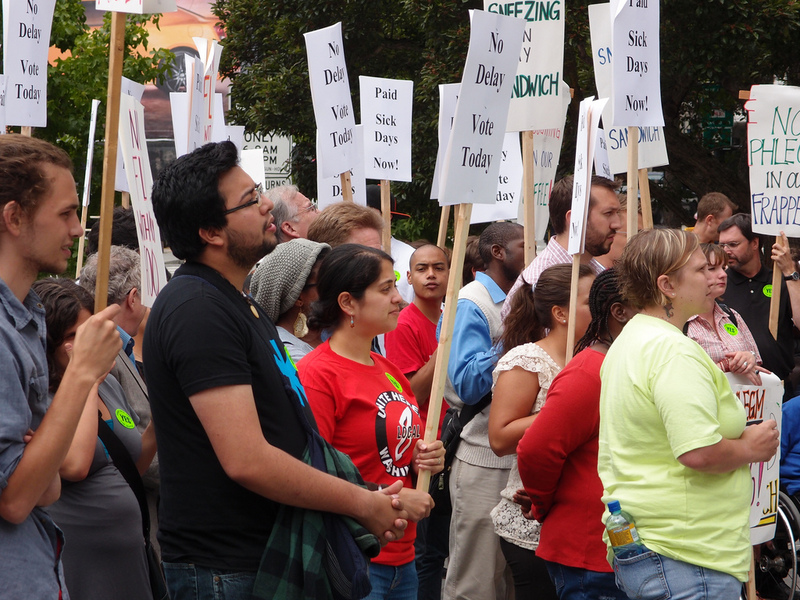 Rally for paid sick days – and final City Council Vote! This is it! Thanks to your all your emails, phone calls and hard work, the full Seattle City Council is scheduled to vote on paid sick days on Monday, September 12th. But we can’t celebrate just yet. Despite the Council announcing agreement to a new Majority Proposal paid sick days bill – which is supported by the Coalition – big business lobbyists are making a last ditch effort to water down the ordinance, and we need you there to show your support for the Council members who are standing up for Seattle’s working people and families. Please join us for a 1:45 PM rally at City Hall Plaza, followed by a march up the steps to attend the 2 PM Council meeting and vote on paid sick days!